Approx. 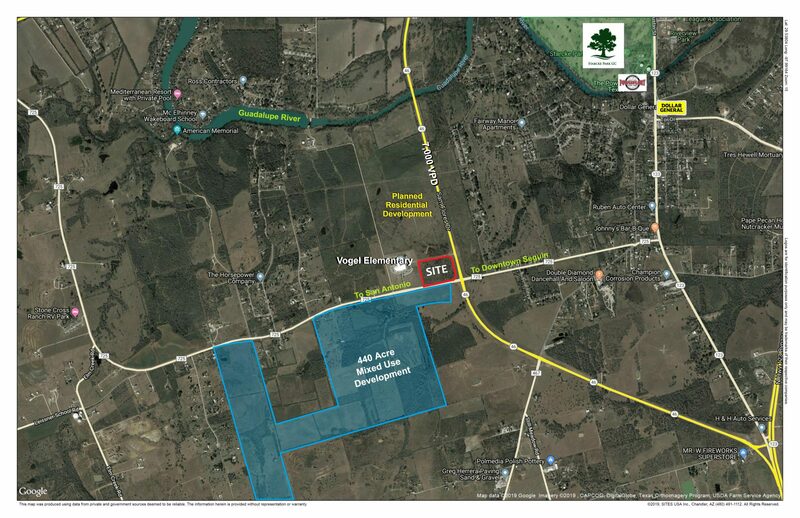 13.235 acres available for sale in Seguin, TX adjacent to Vogel Elementary School on the hard corner of TX 46 and FM 725. Located across from Chaparral Country Club and Arroyo Ranch (1,103 lots) by DR Horton. Close proximity to Texas Lutheran College. Property features 488′ frontage on Hwy 46 and 874′ frontage on FM 725.